The Select Model(s) dialog displays. In the Select From field, click on the drop-down arrow and select Systems Engineering Model. Alternatively, if it is listed in the Technology panel, select the Systems Engineering Model item. In the Name panel, select the checkbox next to the Systems Engineering Model icon. 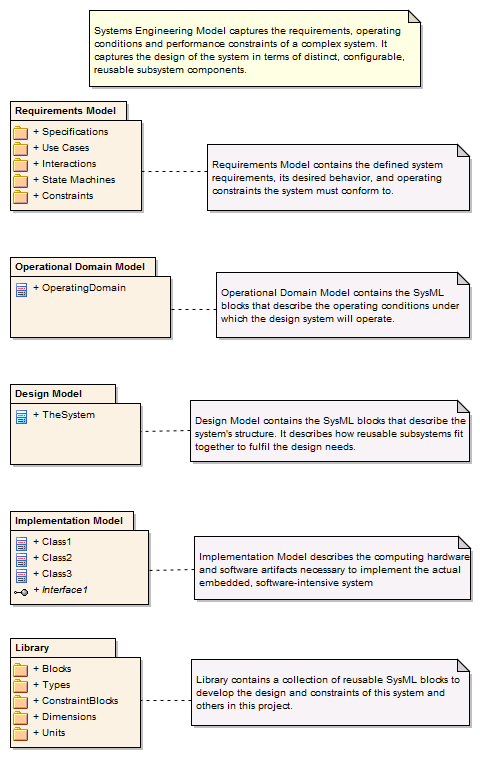 The Systems Engineering Model diagram, shown below, encapsulates the key components of the Systems Engineering model.